For the first post on my blog I decided to publish some project I had done in my spare time few months ago. Global Positioning System, satellites, navigation, you know it, you used it probably. Python is kind of a giant snake but also very popular programming language. Better learn it if you want to benefit from this post. And finally, Google Maps is what you use to find your own house on the Internet. The idea was simple: attach the GPS module to my PC, read the data using Python script and make it open Google map with the exact position. Very smart, you will say, you could have just bought normal GPS device and have all at once. Well, Mr. Smarty Pants, some things in life don’t come always packed in tightly closed box from Taiwan, sometimes it is useful to learn how to make them work. This is more of “how-to” kind of post than a presentation of novel and world-changing idea. I’ll be most certainly happy if one finds it useful for one’s school/university projects. I am not usually involved in GPS engineering, but for purposes of fun and exercising my ever so rusting Python skills I decided to purchase and play with the quite simple and affordable GPS receiver module EM-406A. 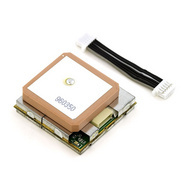 EM-406A is GPS receiver module made by Global Sat, some Chinese company if I’m not wrong. This small piece of electronics is capable of talking with satellites upstairs in Earth’s orbit. That’s right, with satellites, 20 000 kilometers above our heads. Makes you think how bad person you are for not talking with your granny who is only one street away. Sensing the electromagnetic waves vibrating at 1.1 – 1.5 GHz, this small guy is able pick up positions of up to 12 satellites in orbit and by doing some math it can deliver you its own position in Earth’s coordinate system. And the bunch of other stuff as well. All this useful data you can get if you know how to talk with your receiver via those six small wires and that’s exactly what I am going to be describing here. In the specifications it is mentioned that the EM-406A supports the NMEA data protocol. What the hack does that mean? Now you probably wonder how to connect this marvelous device to your PC. Here’s how. You may remember how some older engineers or professors talked about how they had used to connect some things called terminals back in the old days. What the terminal is, I have no single clue, and honestly, I think no one younger than 40 has ever seem them. It is kind of a legend, an unicorn of IT. But for the sake of the story, let’s pretend it is some kind of a printer or a disco ball or whatever they had back in 70’s. However, this thing, the terminal, was supposed to be communicated with through the serial port. It means that your data is transmitted as a stream of 1s and 0s from your PC to this “terminal”. The serial protocol includes things such as baudrate, which controls the speed of data transfer, parity, which takes care that your data is uncorrupted and correct etc. Of course, almost all modern PCs have no idea what to do with this old serial protocol, ‘cause we spoiled them with our standard Universal Serial Bus (USB). That’s why we need to put some kind of translator, an adapter, something that will convert data from GPS module into the something that our computers can read through, in.e., USB port. 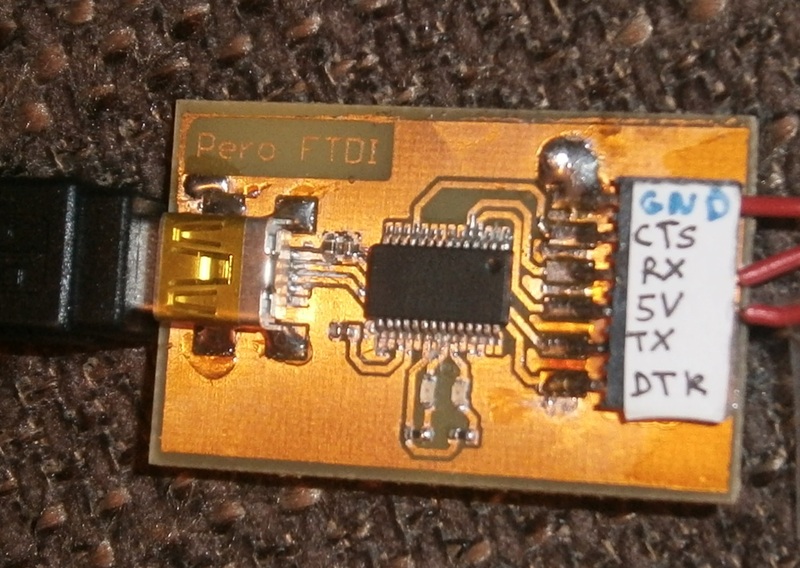 This translator I have found in the form of FT232R chip from FTDI (company name). The chip does exactly what was described above, converts data from serial module into the USB data. What you need to make it work are standard USB mini female connector, 7-pins strip-line connector and printed circuit board design skills. 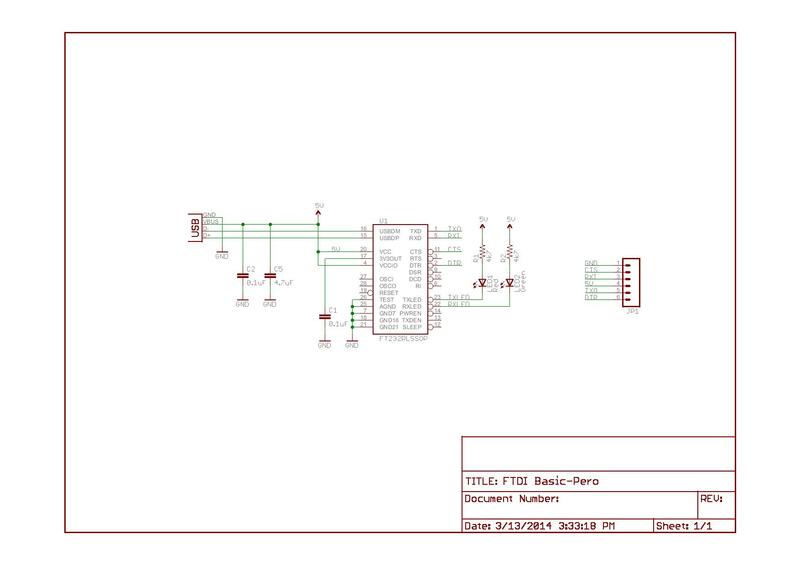 Schematics of the circuit are below. Small note: since FT232 is in SSOP or QFN package, you may want to ask someone for help with the soldering. If it looks anything like the one on the right photo you may consider yourself doing a good job. Now, swiftly find some USB cable and plug it in your new PCB. Your computer will most likely not recognize it, but here you can find and install the official drivers that will make FT232 embrace your PC like an old fellow. What does this mean, find out in next chapter. FT232 and EM-406 4ever 2gether ! This part is so simple it hurts. It is like a toddler of all parts. If the lyrics of “Call me maybe” could incarnate as a Python code, it would be this part. But sneer do not. Behind these simple lines of code stand thousands of experts and years of developing the most exhausting scripts and facing the most challenging programming requirements. Kind of just like behind “Call me maybe”. Finally, the whole code is available here. And here we have some results of the given code. And here is really cool project which I shamelessly ripped off to learn how to make this post. Finally, if you really like boring things, here is one lovely description of NMEA standards. pynmea2 (https://github.com/Knio/pynmea2) is an improved version of pynmea, it will detect the sentence type automatically rather than needing to switch on the sting prefix ‘$GPGGA’, and also has some ability to understand the data fields (ie, automatically parses ddmm.mmmm to floats) instead of just giving strings. Great, thanks for the info. I’ll try to use it as soon as I can! maybe it was syntax error. if you copied the code as it is on this page it may happen that you missed to put 4 spaces after the for loop? copied the program tried to run it but gives error on the import statements i.e. import serial…etc.